This step is why I wanted to do the 30 meal plan in the first place... it just makes sense! It's great to have all of my recipes compiled, laminated, and ready to go but I can't make any of those yummy recipes without the ingredients... ALL of the ingredients which is often my problem when I'm trying to come up with a quick meal, it seems that I am always missing something! **Disclaimer: I'm still trying to work out all of the kinks (would love any ideas to make this just perfect, just leave a comment please). I used Microsoft Excel to make this lovely table (this is just a piece of my table) with the names of the meals on the left and ALL of the ingredients needed to make those 30 meals across the top. I separated the ingredients into sections to make it easier for shopping, i.e. meats/proteins, carbs, dairy, veggies, spices, etc. I think I will go back and alphabetize those sections to make it even easier. The beauty of this is you can see EVERYTHING you need (and how much) at a glance. Also, if you are at home looking in your fridge and thinking you need to cook up the chicken (or sour cream, or veggies, etc) before they go bad you can just pick up your Master List and check out the chicken column to see which meals you could make to use that chicken quick. Once I am all finished with entering all 30 of my meals and the ingredients I will add some empty lines at the bottom of the page and laminate so that I can use a dry erase marker and circle ingredients I need to buy and also add other items I need to pick up at the store (i.e. cold cereal, soap etc.) so that I can just take my Master List shopping with me and know that I have everything I need. Also, I plan on having an extra Master List in my car for those unexpected stops to the grocery store. The other fabulous thing about this is I can stock up on the items on my Master List when they are on SALE or when I have coupons because I KNOW I will use them. I'm ALL about saving money. You guys, I can't tell you how excited I am about this! There is something about 30 meals... I can handle 30 meals! It is totally going to change how I cook and shop, WAHOOOO!!! Would LOVE to hear your thoughts on all of this. Are you on board and so excited too? Any great ideas to add? wow! what a genius idea! Wow! I am excited to see this! It will be fabulous! this is just the most excellent idea!!! I would be curious to know what your 30 recipes are. Would there be a place for us to share these with each other? I am on the enrichment board in my ward and was telling the other people about this and one lady said she had heard of this and that when they would go to buy whatever they needed for the master list they would buy 3 of everything and then that way they would have their 3 months of food storage. anyway thanks for sharing this. I am still working on my 30 days of meals but already I can see a difference when it comes to dinner time and what to fix. WHAT A GREAT IDEA! I had gotten to this point kinda on my own, then got stumped! What do I do when I have buttermilk in the fridge? What other recipes use olives? That sort of dilemma. THANKS for helping me solve it! Okay, this idea is from your dad so you have the right to ignore it. First let me say that I'm proud and not surprised that you've come up with a great plan. Now for my idea. I've noticed that your ingredient columns are different widths to allow for measurements. Would it work on at least some, if not all, of the ingredients to use a standard unit and then put just the amount of that standard unit in the column below. For example - the standard unit for beef might be 1 pound, so in the heading where you have the word Beef you would put a parenthetical (1 lb)so it would say "Beef (1 lb) or Beef (lb). Then in the space you would just put 2 or 1/2 or .5 or whatever. For Milk it might be "Milk (Cup)" or whatever would be the best way to measure milk quantities. The point is that you could then have thinner columns in some cases and fit more columns on a page. I love this idea and would really like to see the recipes at some point! Great idea - love the 30 meal plan. Now I just need to find the time to implement it! Great blog too! Yes! How can we all share recipes...I'd love some new ideas! I love the idea of sharing recipes! Also, love the idea about including the quantity on the master list, that way ya know exactly how much ya need to buy. I'm gonna love this plan!!! Still working on our 30 meals, too. My suggestion, for what it's worth - rather than alphabetizing the sections of ingredients, organize them by how your grocery is laid out (or the store you frequent the most). If you always walk in the store and go to the produce section first, that should be the first section on your master list. I'm new here, but looking forward to looking around. What a great idea. You know I love me a good spread sheet? I'm a spread sheet freak. Your plan sounds great! I have one suggestion for you. I do something similar with my planning, but have discovered that the dry erase markers smudge and erase too easily. I bought some WET erase markers that are wonderful!!! They don't smudge or erase easily. I just keep a bunch of Q-tips nearby and then when I am in need of erasing I just wet the end of one and "erase". They erase easily then. 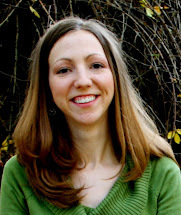 I love your blog!! I just stumbled upon your blog when looking for 30 meals for my family and love your idea!! Thanks for sharing! I've been reading, but not planning on participation in your 30 meal plan. I know it makes sense, will save $, save my sanity, and seems like a big effort. But, I love that master sheet for grocery shopping. For that reason alone, maybe I'll rethink this whole project! 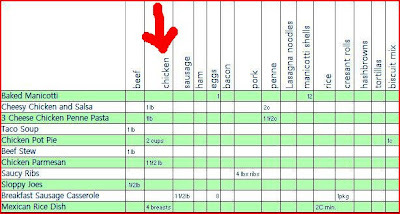 I just found a great spread sheet created by FoodStorageMadeEasy.net on there they have 30 day Food Supply excel sheet that you can input into that is really easy....for those like me who don't know where to start a spreadsheet. I appreciate 30 meals, but I prefer to do 5 meals a week at a time. I have created a PDF form with my menu plan for the week on the left and blank lines on the right for my shopping list. I like creating my menu plan on the computer then printing out the sheet on card stock. I take into the kitchen and review what I have and jot down what I need. Then I have my menu and my shopping list on one page. I can even fold it into 3rds to make it stiff to write on and handy to stick in my pocket. Or I put it on a clip board and keep it in the child seat at the grocery store. I save a ton of money and throw very little food out at the end of the week this way. Happy to email you PDF. It was designed in a graphic design program, I admit, I love it to look good. :) Nice blog! LOVE THIS IDEA - I'm going to put a link to this idea on my next MENU MONDAY! Thanks for the great ideas! Found this via Rachel at SmallNotebook. This is a really smart idea! Thanks for sharing it with us. This is brilliance at it's best. Looking forward to doing a master list of my own. I have an idea for the master list. Break it down into weeks. Every one uses perishables, so it's best to get those weekly anyway. So the 5 to 7 recipes you use during that one week, put every last ingredient down. Use check boxes beside each. On grocery day, pull that list out, go through the pantry and freezer, check off what you already have. Then you're good to go. From those weekly Master lists, you could make a monthly GRAND master list to bring along in case of sales to get some of the other things. It might be easier to work from a handful of recipes at a timeto make a list and then use those to make the 30 recipe shopping list. I like the spreadsheet idea. I kept mine regular paper sized and I've been using a sheet protector and dry erase marker until I come up with the final product. Wal-Mart has small packets of sheet protectors for a pretty low price. Nice ideas, I've been futzing around with a similar idea for about five years now. Question: Do you simply list the ingredients needed for each recipe or do you also include all side items that you will serve with the meal? Hey pretty ladies! I love your ideas...you both look very familiar. Were you formally in the 11th Ward at one point? BRILLIANT!!! I need to make a chart like this to put with my recipes. Part of why I hate to grocery shop is because I hate trying to figure out what I need for every meal. This will SOOOOO simplify that for me! Pure genius! I would love to group them by ingredients needed because we have a small family and we always have leftovers so learning to make different dishes from chicken, fish, etc. would be wonderful! You've inspired me to finally get myself organized...have been putting it for so long. such a great idea!! I need to get right on it! What did you end up doing to tweak it? How is to working for you now? Very easy but so helpful! Hi, I'm new here. Saw your meal planner on Pinterest and came over to your blog. Can't wait to try this planner. With 6 kids, this will certainly help to make things more manageable! What a great idea. I've been struggling to keep on my South Beach diet - so I'm going to do up a list of as many SB recipes as I can find - and that way I won't be tempted to order a pizza on a saturday night - if I have my list of healthy meal ingredients that will help me stay on track. (PS - The pizza was really good). I use rubbing alcohol (isopropyl alcohol). Works the same for way cheaper. Alcohol is the way I remove all Permanent markers on plastic containers, bags, etc. But do not use on varnished wood furniture! is there a link to download what you use and edit from there? Great Idea! I think you're reaching for a database. If each recipe has a list of ingredients, you can select your recipe and have it report your ingredients. You can also query the database by ingredients. Good Luck! This is awesome! I've been trying to figure out a meal plan that can work for me because my "family" is so small- just me and the man- but we still have trouble coming up with meals, prep/cook times, and shopping trips. Thank you so much for sharing!